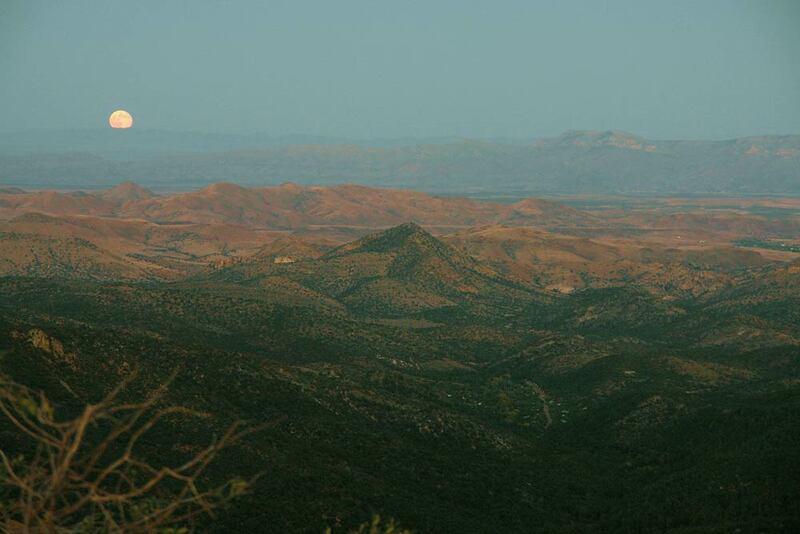 This trail was designated as a New Mexico Byway in 1995, and gained National Byway status in 2005. It ties together Sierra County’s many charming rural locales (including many old mining towns) and offers sweeping panoramas, breathtaking vistas, and intimate corners of beauty. The majority of the route is unspoiled—quiet, pristine, and teeming with wildlife and flowers, depending on the season. 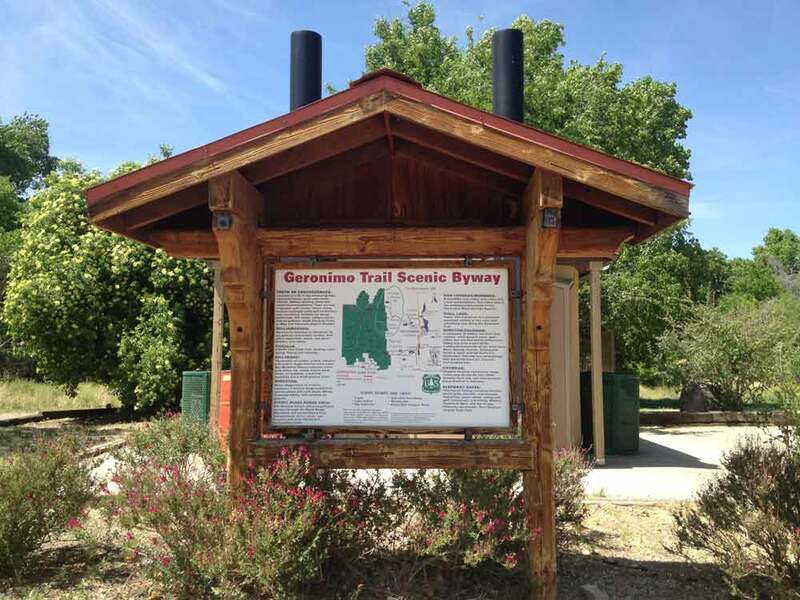 Sites along the byway include Elephant Butte Lake, Truth or Consequences, Geronimo Springs Museum, Hillsboro, Kingston, Cuchillo, Chloride and Winston. 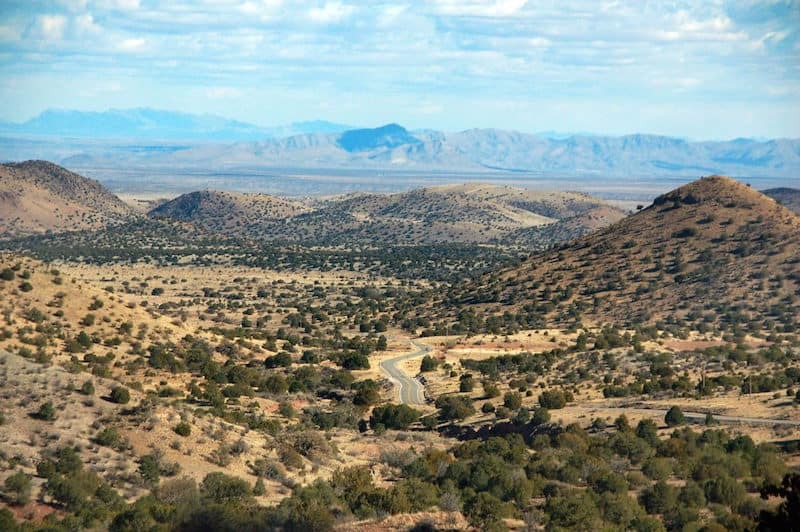 From the Jornada del Muerto (Journey of the Dead Man)—the roughest and deadliest part of the historic Camino Real, which served as the main route north between Mexico City and Santa Fe—the Byway rises to more than 8,200 feet in the Black Range Mountains. Emory Pass Vista in the Black Range Scenic Area reveals a magnificent view to the east for more than 40 miles. Caballo Lake and Lake Valley are part of the Lake Valley Back Country Byway, which intersects the Geronimo Trail National Scenic Byway in Hillsboro. To traverse the Lake Valley Backcountry Byway, begin at Caballo Lake on old Highway 187. Drive 17 miles west on NM 152 to Hillsboro, then turn south on NM 27 to Lake Valley, and continue through the beautiful grasslands to Nutt (on Highway 26). Informational kiosks are located on NM State Highway 27 in the Lake Valley area and on NM State Highway 152 about 8 miles east of Hillsboro.